The newest Kabuki restaurant, a full-service, yet casual dining concept is opening Saturday at the Brea Marketplace in Brea. The original OC location is in Huntington Beach. With more than 150 menu items offered every day this affordable eaterie should appeal to those seeking classic and innovative Japanese cuisine. Kabuki’s menu features signature sushi and sashimi selections such as the pyramid roll with tuna, avocado, krab, and arare, with yuzu tartare, ($9.95) and Kabuki’s most popular premium roll, the lotus on fire roll with spicy tuna, lotus root, and fresh sliced jalapeño on top of a California roll ($9.95). Signature dishes from the updated menu include grilled calamari marinated in fresh lemon juice and served with ginger garlic sauce ($7.95); a spicy tuna trio with spicy albacore, poké tuna, and spicy tuna ($10.95); and the Mediterranean sea bass with tomato salsa, corn, asparagus, and Japanese mint ($14.95). The happy hour is a bargain from 3 to 6 p.m. Monday through Friday. 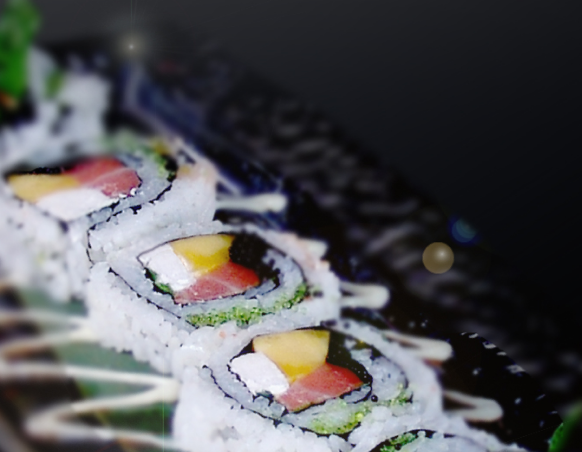 Premium sushi starts at $2.95 per roll and appetizers starting at $3.95. Sake and Kirin Ichiban draft beer costs just $1.95. Brea Marketplace at 975 East Birch St. in Brea. 714.255.0090. This Labor Day, Wildfish Seafood Grille in Newport Beach is celebrating by picking up the tab for one of every two entrees ordered, the lesser priced entrée in on them. The offer is good from 5 p.m. to closing. Bluffs Shopping Center at 1370 Bison Ave. in Newport Beach. 949.720.9925.